I’m all about breads and love making them myself all the time. Have you checked out my Hummus Homemade Bread or the Olive Chickpea Flour Bread? Both are so delicious bread recipes you should not miss. If I had to choose the one or other homemade bread recipe, I couldn’t. Try them both, so delicious. 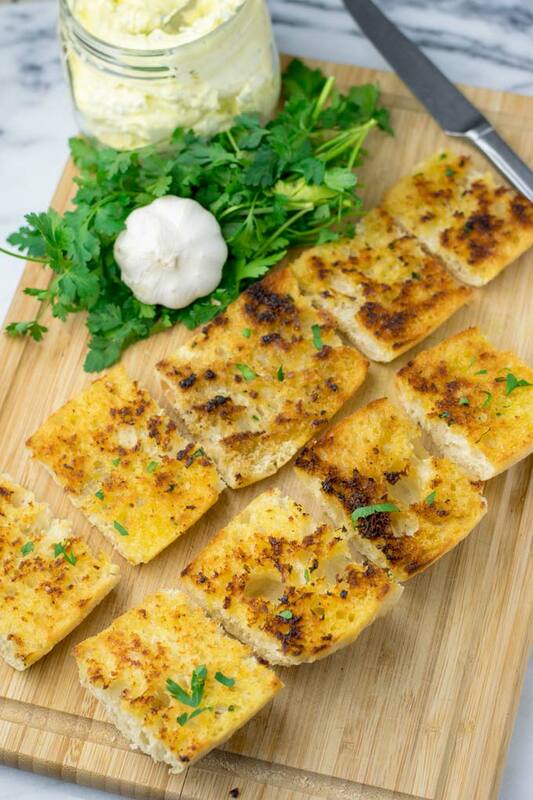 I hope you’re as excited as I am for this Garlic Bread Recipe. If you know me a bit, you know also that you can expect the easiest and tastiest recipe ideas. This one is crusty, super satisfying, addictive, fast, garlicky, rich, creamy, buttery, versatile to many things and also a must make for all party food ideas. 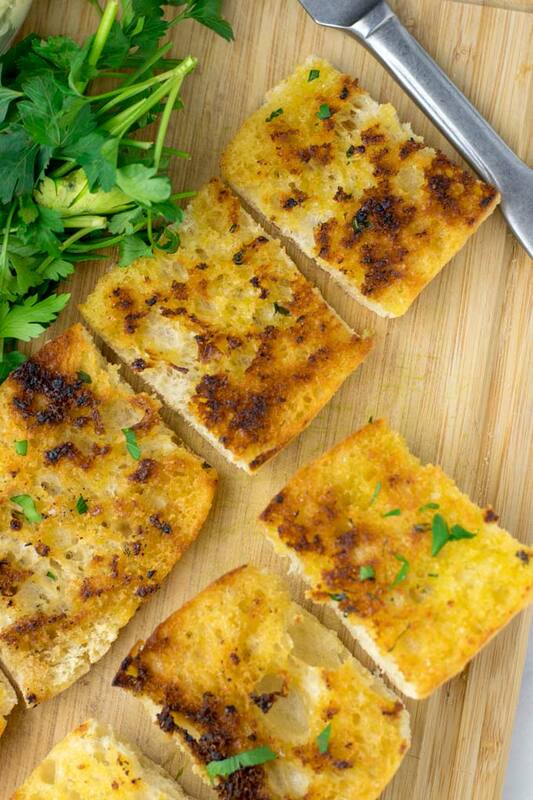 This garlic bread recipe from scratch is delicious for quick and easy meals on its own. But it is also amazing as a side, for example to this One Pot Chili Mac and Cheese or the Instant Pot Spaghetti with Simple Tomato Sauce. Planning a date night with your sweetheart? This is a must make to any dinner ideas for two. It goes well with any dish and will complement any meal. The recipe is really flexible. 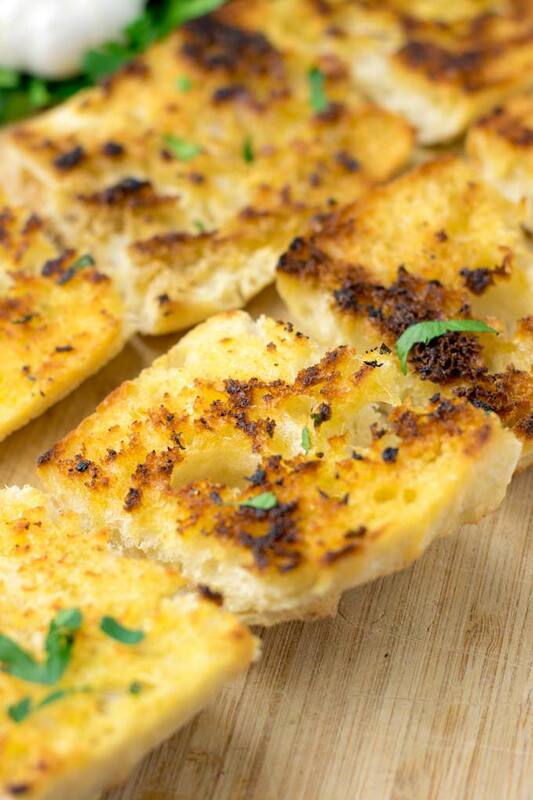 You can make a homemade garlic bread with regular bread. Choose your favorite and make it like I did in the recipe instructions. Also I could imagine it is really good with this Artisan Bread (one bowl, Dutch oven). Oil free: just skip the oil for brushing and for the garlic butter. Please make sure when making the garlic butter that the vegan butter is always at room temperature for easy mixing and spreading. Bruschetta: make a bruschetta recipe choose toppings like chopped tomatoes, garlic, olive oil, a pinch of salt and pepper. Mix and set aside. 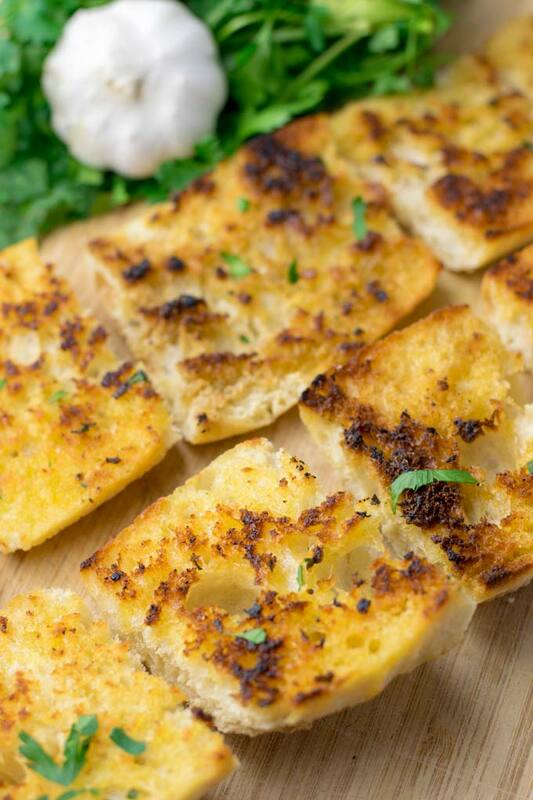 After baking the homemade garlic bread you can add the bruschetta toppings. Enjoy now, or put it in the oven for around 2 minutes. 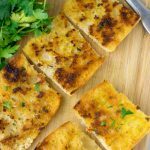 Cheesy garlic bread: just put a bit vegan cheddar or other dairy free cheese on top and bake until melted. 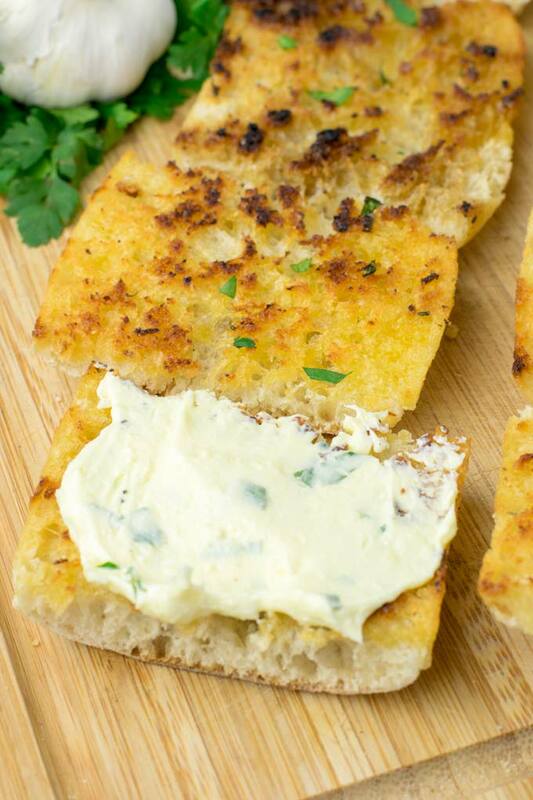 Garlic toast: spread some toast with garlic butter. Bake as same in the instructions or use a skillet to roast the toast until golden and brown. 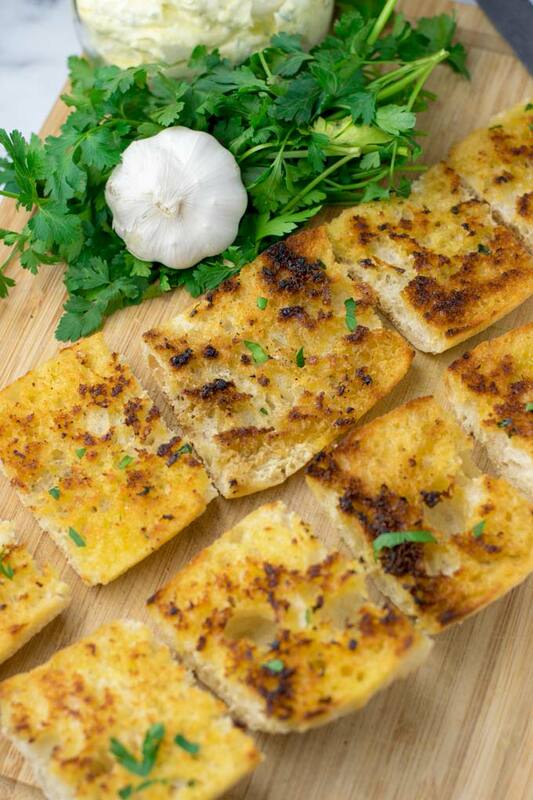 If you try this easy garlic bread recipe a try tag me with a pic on Instagram or Facebook. Love seeing all of them.